Stitch Together started as a local yarn shop in Iowa in 2015, but owner Kayanna quickly became obsessed with dyeing and by 2017 her shop became a full-time dye studio. 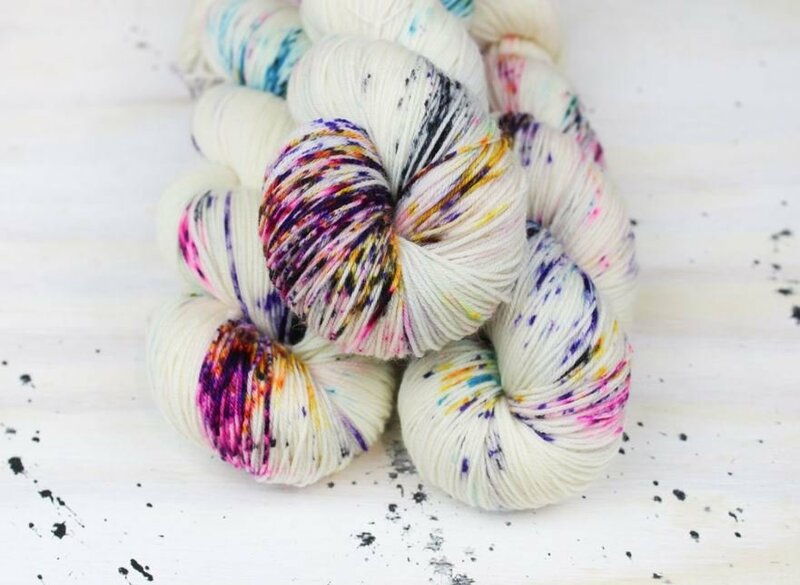 Her passion for lively color shows in each inventive colorway she paints, and the color names she dreams up hint at her attitude and humor. . Stitch Twisted Sock is just what you'd expect, a smooth and soft blend of superwash merino and nylon. As the name implies, it's perfect for socks, but also for garments and accessories that you want to be colorful and easy care.